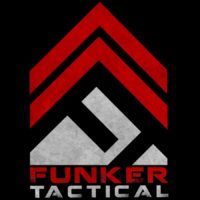 The following video is brought to you courtesy of the Funker Tactical – Fight Training Videos YouTube Channel. Click the video below to watch it now. Your gun and your knife are useless…if you can’t access and deploy it in a fight. Its impossible to maintain 100% situational awareness and be within a safe distance of all people at all times. This is why learning how to fight is essential. Marksmanship is only one piece of the puzzle. Thank you for watching our channel. Your subscription is valuable to us. Please consider subscribing. Get Connected With the Team! Music by: Machinima Sound, Anze Rozman and Samuel Nevarez. All of our videos are for entertainment and educational purposes only. Please do not try anything you see in a Funker Tactical video without the supervision of a qualified instructor. These actions are potentially dangerous and may cause injury or death. Always exercise the highest level of safety when handling weapons and firearms. Please check with your local authorities regarding the lawful ownership and use of any weapons, firearms, kit and gear you see in any of our videos. We are not responsible for the consequences derived from the purchase, importation, possession or use of any items you see in our channel. Once again, it is important that you check with your local authorities first.